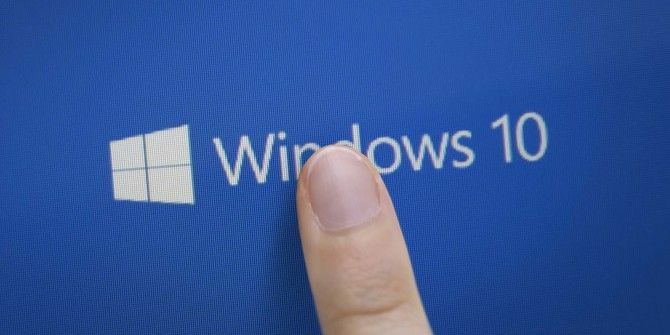 Update 1/16/2018: Back in 2017, Microsoft allowed users to upgrade to Windows 10 using their Windows 7 and Windows 8 product keys, but starting January 16, 2018, this method no longer works. Every loophole for freely upgrading to Windows 10 is now expired and unusable. If you’re still on Windows 7 or 8, you’ve officially missed the boat. If you want to upgrade to Windows 10 now, or at some point later down the road, you’re going to have to spend some money. Windows 10 is not perfect, but it’s a significant improvement on everything that’s gone before, mainly thanks to the three massive upgrades it’s received: the Anniversary Update 9 Windows 10 Anniversary Update Features You'll Love 9 Windows 10 Anniversary Update Features You'll Love Are you still on the fence about the Windows 10 Anniversary Update? We have summarized the most important new features. Be sure to try all of them if you've already upgraded! Read More , Creators Update A Peek Into the Windows 10 Creators Update A Peek Into the Windows 10 Creators Update Microsoft just announced the next major Windows 10 upgrade. The Creators Update will come to 400 million users in Spring 2017. Here are the highlights of Wednesday's Windows 10 event. Read More , and the Fall Creators Update 9 New Settings Features in the Windows 10 Fall Creators Update 9 New Settings Features in the Windows 10 Fall Creators Update Does the Settings app seem to change every time you use it? We'll show you the most important features you may have missed since the last Windows 10 update! Read More . If you want to buy a copy for your machine, you need to head to Microsoft’s online store. Windows 10 Home costs $119.99 and Windows 10 Pro costs $199.99. Pro includes some extra features such as remote desktop, BitLocker, the ability to create and run virtual machines with Hyper-V, and Azure Active Directory. Regardless of which package you choose, you can choose to download the installer for your new copy of Windows for either the desktop or a USB stick. Make your choice directly on the Microsoft website. Once the installation app is running, just follow the on-screen instructions. Have you upgraded to Windows 10 yet? If not, we’d love to know why. Let us know in the comments below. Well, good grief, talk about lousy timing. I downloaded the W10 free upgrade disk back when it was first offered. Last week I ordered an ASUS Prime B350-PLUS mobo, a AMD Ryzen 5 1600 CPU and appropriate RAM. Now you tell me that I'm two days past being able to use my W10 disk and have to buy a copy of W10? Well, I guess I'm beyond that as well because my local computer shop said the Ryzen CPU won't deal with W7. I'm not a gamer and still think Win2K Pro was the most user-friendly OS from MS.
Any chance that I can install Ubuntu and get it to run with this mobo/CPU combo? I'm so tired of getting hosed by MS, and the last thing I plan on doing is feeding the parasite another $120. All of my family's PCs and laptops (4) are updated to Windows 10. While the earlier versions of Windows 10 had issues, I have to say that once I updated them to the most recent, Fall Creators Update, on all of them I noticed a significant decrease in the boot up times as well as a generally snappier performance overall. Additionally, a number of minor issues which I was having on a few of the devices were corrected. I'm glad to hear that the opportunity to update from Windows 8 to 10 is still available as I have another family member's PC that could still be updated. I, like many, used to really complain about the length of time it would take to do a clean install but this past weekend, I had to do a clean Windows 10 Home install on a laptop with a bad hard drive. Suffice it to say, I was greatly, and pleasantly, surprised when the time from booting the laptop with the disc created through the MS media maker tool until I was sitting on a fully functional desktop was less than 20 minutes. Not only that, but even though the laptop had originally had an OEM version of Windows 10 on it, never once was I prompted to enter a software key, and immediately after installation had completed I checked to find that the Windows installation was fully functional AND properly activated. My initial reaction... "finally - it's about time.... now THIS is the way it should be". My only complaint was that the version of the Windows 10 installation created by the media tool that very morning was not the most current, requiring me to go through a few update cycles to get to 1709 (Fall Creators Update). But even with the couple of hours to download the larger updates and install them, I was very pleased. I get that Windows 10 may not be for everyone but I don't get why some feel the need to tear down someone else (or in this case - a computer OS) to make them feel better about their own choice. It seems like they need to convince themselves they made a better decision. Not everything fits everyone. That's why we 're all not driving the same car! I bought the cars (or operating systems) I did for our family because they were the ones which fit our needs the best - not my neighbors or friends needs. And just because I may like Windows 10 - or my Jeep, doesn't mean that Linux or OSX or Chromium - Or Ford or Chevy isn't any good... it's just that they're not for me. For others, though, they may be perfect and if that's the case - well, good for them! I was "lost and confused" with the new Win10 setup and did not know how to set up a classic Win7 look. I don't have time to relearn all this, my current software must just work, so I went back to what I know. Haven't upgraded because I'm a Linux guy who's converted nearly 20 family members and friends. I'm not interested in helping Microsoft compete with Google and Windows 10 looks to be Microsoft's way to become more like Apple in an attempt to compete with Google. I had upgraded from Windows 7 to Windows 10, just like the majority, during the time frame stipulated by Microsoft. However, after a few months, my hard drive went kaput and when the technician replaced my hard disk, I was left with Windows 7. He didn't know how to upgrade the operating system back to Windows 10. I, myself tried to upgrade using the Windows Media Creation Tool but failed. I was really at my wit's end. I didn't want to resort to buying Windows 10. Then, I read your article about the possibility of upgrading from Windows 7 to Windows 10 even after 2017. I gave myself one more chance by following the instructions and voila, I got back my Windows 10. Thank you for the reminder. It helped me to get back my version of Windows 10. for my laptop. LOL - Oh well. If you've had Windows 10 on the machine and activated before already, it can be installed again. The activation will happen silently when you first connect to the Internet as Microsoft will already have registered the machine's "digital" license from the first time. When you go to install Windows 10 just leave the license blank and tick the box that say there is none. Once installed and connected the Internet, Windows 10 will check for a matching digital profile - some sort of "hash" - will find it, and activate your computer without even notifying you. Link to download Windows 10 from Microsoft? Windows 10 is a disaster. Anybody who tells you otherwise is either lying, in denial, or wearing rose-tinted glasses. do you care to give reasons, or is it just different and you dont want to take the time to learn it and find its easier just to bash it. It's definitely got some issues but all OS's do its got some really nice features as well like free hyper v, the option to use multiple desktops, not to mention it works more efficiently, making it snappier than windows 7 on the same hardware. If you upgrade a computer using this process, will your files be lost? I have windows starter in my Sony Vaio notepad. I always try to upgrade it but I can not as it always tells, no internet connection. Even though all the browsing activity is happening. Kindly help me in upgrading my system. SSD. Prefer 8 w/classic shell, frugal bandwidth. My HTPC is still on Windows 7 because MS didn't bring Windows Media Center to Windows 10. Just make sure that you choose the right version for your Win 10 OS, e.g. 32-bit WMC for 32-bit Windows 10, etc. Although it isn't officially supported, it'll work,. WMC can be installed on Windows 10. Just Google it. Very interesting. But what you didn't warn about is that if someone who doesn't like windows 10 and wants to go back to 7 / 8 they will need to downgrade within 30 days or be stuck with windows 10. This process converts the win 7 / 8 product key to a win 10 product key. Once the 30 day trial period is over the key can't be used on a win 7 or 8 install. their Windows-10 upgrade, for Free. and now they can't do that, as they have No Valid License Key. . .
Not necessarily. When I had to replace my motherboard, Windows 10 complained bitterly so I had to reinstall Win 7 (Retail, mind you) from scratch. I used my original license number and it activated just fine. Now I'll have to think whether to stick with 7 or go through the upgrade again.